Individual Consultations — Discuss your child's specific needs as you plan for the transition to preschool. Call the HELPline at 800.578.2592 to schedule an individual consultation with one of our Early Years Parent Advisors. 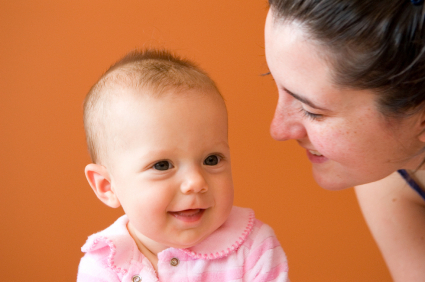 Are you concerned about your infant or toddler meeting developmental milestones? As part of California’s interagency system of early intervention services for parents of children from birth to age three, Matrix is your Family Resource Center. We provide information and support for families of young children. If your child is not yet receiving services — and you suspect your child might have or be at risk for a developmental delay — call our helpline to speak with one of our parent advisors. We are here to help. Early Start - Matrix staff provides information and support to help you care for your baby in California’s Department of Developmental Services' Early Start program. For more information, call us at 800.578.2592. ONE, TWO, THREE ... Take these big steps for me! Paying attention to what babies typically do at certain ages is important because early intervention works! If you have concerns, tell your doctor and call us at 800.578.2592. See Learn the Signs. Act Early — important milestone information sheets and checklists (english, español). Use the Birth to 5: Watch Me Thrive! pamphlet to track your child's developmental screenings. STEP 1: Support your baby — The CDC provides useful positive parenting tips on interacting through play and daily activities. STEP 2: Find local resources — Don't go it alone. STEP 3: Share your concerns promptly — Don't wait if you're concerned about your child's development. Discuss your concerns with your pediatrician. Contact your regional center or call 800.515.BABY (2229). Referrals may be made, in writing or by telephone, to the Regional Center that serves your area.